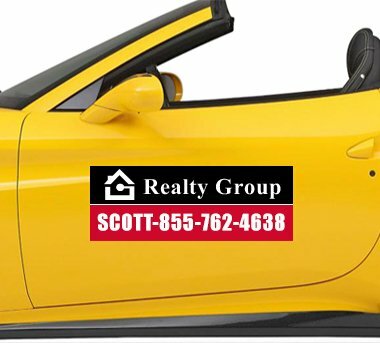 3x10 Magnetic Signs - Custom Outdoor & Car Magnets 30 Mil Square Corners are a great choice for advertising in cars and vans. These custom printed magnets can be utilized to advertise events, house for rent and also various products & services. These outdoor safe magnets have better endurance to withstand the outdoor elements, thus assuring a long lasting exposure. Made In USA, these custom magnetic signs for cars and vans are offered with free shipping in the contiguous USA. Order these magnets now to get free design, lowest price guarantee and there is no set up fee. Request a quote to know price cuts that you can avail for wholesale 3x10 Magnetic Signs - Custom Outdoor & Car Magnets 30 Mil Square Corners. Product Size : 3 in. x 10 in.